But what of reds? 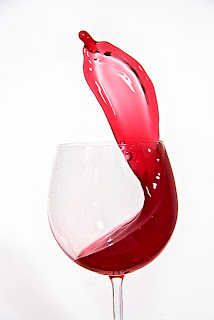 A lot of even stalwart English wine fans turn their noses up at the very thought: it's too cool to grow good reds, we don't do well-known red grape varieties well enough, or they've tried some plonk from their local 'vineyard' that's made them want to do a bit of a cry. Gusbourne already make gold-medal Champagne-style sparkling wine, and they found a batch of Champagne pinot grape clones that seemed perfect for a Burgundian style red. They've been making it for a few years now, and the latest result from the 2010 vintage is seriously promising: so light it's almost a rose, with a delicate perfume and lots of strawberry and raspberry flavour. It's not so light that it lacks character, but the vines are still pretty young so I can't wait to see how this shapes up over the next five to ten years. Still, it's a red that is absolutely worth trying. Field and Fawcett sell a bottle of Gusbourne Pinot Noir for £15.50, or you can get a bottle from The Secret Cellar for £17. Halfpenny's Rondo was in the news last year as it was produced at a record 15% abv, and it obviously worked: it's just scooped silver at the 2013 Decanter Awards. Obviously the alcohol level means this is a chunky, full-bodied wine that smacks you around the chops, but is greatly tamed by a plate full of stew, or a roast pigeon, or a honk of your stinkiest hard cheese. It's had such a surge in popularity it's sold out on the official Halfpenny website, but you can pick up a bottle at £19.95 from Nickolls and Perks. 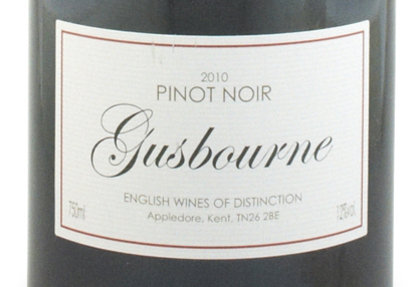 Another Pinot that's won awards and trophies all over the shop, this is darker and fuller-bodied than the Gusbourne but has spent a little time in oak to give it toasty complexity. It's also got typical cherry pinot character, and shows cold-climate pinot noir has its place in the world, and indeed in England. If you'd like to grab a bottle, head to Yorkshire Vintners where it's £16.74 per bottle. Also worthy of note: Chapel Down's Pinot Noir won silver at the 2013 International Wine Challenge, and has been so hotly-sought since then it's sold out everywhere we've looked - not surprising, seeing as not only is it an award winner, it's average price is a Burgundy-beating £14.99. Have you ever given an English red a go? Let us know in the comments, or on our Twitter and Facebook pages. Image from UGod's photostream under the CCL.